CCA Derry~Londonderry in partnership with CIAP (International Centre for Art & Landscape) are inviting applications from artists, arts writers, and other creative researchers for a three month residency at the Castle on Vassivière Island, France, from 20th June to 30th October 2016. The residency programme is supported with a budget that includes a living allowance, travel, and production costs, as well as use of live/work facilities at the dedicated residency space, recently renovated by architects Berger&Berger and BuildingBuilding. We are seeking applications with a thematic focus, in response to architect Rem Koolhaas’s assertion that the ‘countryside is now the frontline of transformation … more volatile than the most accelerated city.’ Referring to the countryside as a ‘toxic mix of genetic experiment, science, industrial nostalgia, seasonal immigration, territorial buying sprees, massive subsidies, incidental inhabitation, tax incentives, investment, political turmoil’, Koolhaas contradicts the notion of the countryside as a space that is both inactive and immune from the forces of global capitalism and technocracy. The thematic approach has particular relevance to the immediate vicinity of Vassiviere, an artificial island that is simultaneously a hydro-electric power reservoir, a holiday resort, an art centre, sculpture park, and a ‘managed’ woodland consigned for foreign export. The wider region of the Limousin meanwhile represents one of the lowest population density regions of France. The residency hopes to provide a unique opportunity to respond and develop these ideas within the terms of individual creative practice. 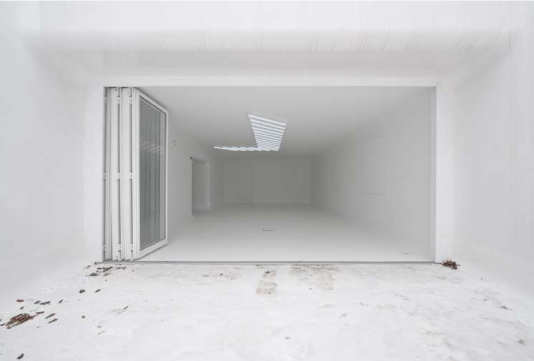 The programme will also be supported through occasional group events organised between CCA, CIAP, and Treignac Projet, an artist run project space in the Limousin. The residencies emphasise a discursive and process-based approach with no fixed outcomes, yet there will be the opportunities to present aspects of the residency at CCA Derry~Londonderry in late 2016, in form of exhibition, talk, or research presentation. Deadline for applications 29 January 2016.